As we develop our skill in trading the Core Boomerang Day Trader setups with the goal of becoming a career trader it is important to understand the stock index field of daily activities. The great thing about trading the US stock indexes is that there is a tremendous amount of available information which allows us to understand what is going on each day. After having a proven trading system such as Boomerang Day Trader you will also want to keep an eye on the current events of the market. These important events can make the difference between a tight range bound type market which we are seeing a lot of here in September to a more trending type market. This month in September for example we had the Futures Contract Rollover for all the US stock index contracts such as ES, NQ, YM and TF. The rollovers occur on the 2nd Thursday of the month of the active contract. Those are: December…March….June….September of each year. Remember this important date. NinjaTrader will automatically alert you on your NinjaTrader platform but its good to prepare. So we had rollover on Thursday the 12th and then on the 17th it was all eyes on the super critical “FOMC Meeting” with the FOMC Forecasts on the following day at 2:00 est followed by the press conference. After the Thursday release of the FOMC Forecasts that is when we saw the market leap higher. You must be aware of these key events and government reports when you are trading regardless of what system or method you use. 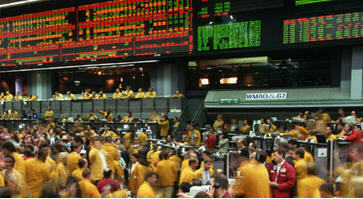 The Key Reports are highly influencial on the markets direction when they come out. My Daily Directional Forecast discusses the Government reports that are important and the possible influence in addition to my world famous exact direction call for the day. Also I give my “one trade a day” setup on the ES in line with that Directional Forecast and underlying Market Force Indicator reading. Ideally you should have this Econoday website bookmarked and check it daily for the schedule of Government reports coming out. Generally you should try to avoid watching CNBC while you are trading as to not influence your opinion or emotions about the markets. This is especially true if you are trading the Boomerang Day Trader Core Method/Rules to place your trades. I hope this article has been informative.